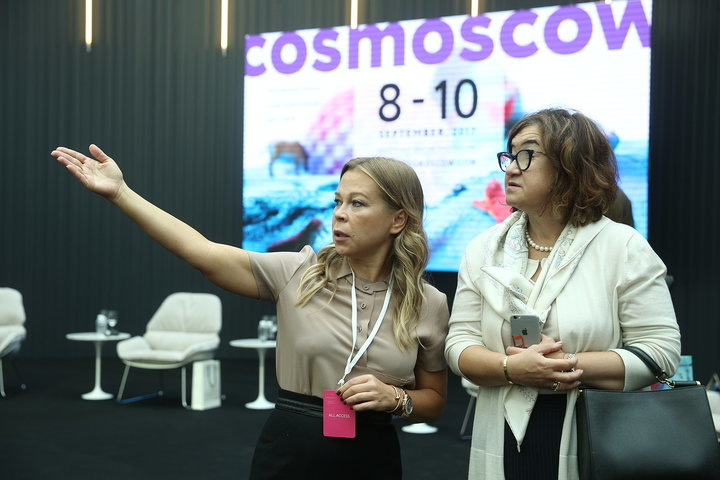 Cosmoscow • Margarita Pushkina became a jury member of the Innovation 2018 Prize. Margarita Pushkina became a jury member of the Innovation 2018 Prize. Besides the Founding Director of Cosmoscow International Contemporary Art Fair Margarita Pushkina the list of jury members will also includes: Natalya Timakova, press attaché to the Russian Prime Minister Dmitry Medvedev; Dmitry Ozerov, head of the contemporary art department at the State Hermitage; Iwona Blazwick, director of Whitechapel Gallery (London); Anna Gor, head of the Volga-Vyatka division of the National Centre for Contemporary Arts. “Artist of the Year” nomination features following projects: Sergey Kishchenko's personal exhibition “Observation Journal 2014-2017”; Valery Aizenberg's “Migratio” exhibition; Evgeny Granilshchikov's “The Last Song of the Evening” exhibition; Vladimir Logutov's “Bext Level” exhibition; Chaim Sokol's “Paper Memory” exhibition. “Project of the Year” nomination features following projects: 4th Ural Industrial Biennial of Contemporary Art; Alexander Shein's film “VMayakovsky”; “PROMETHEUS. DEMO: Experiment Promises to Become Art” exhibition project (Kazan); “Museum of Alien Invasion” theatre production; “Farewell to Eternal Youth” series of exhibitions (Winzavod CCA).